A New Year is like a new chapter opening in your book of life. This prompts us to create resolutions and make certain changes in our lives. 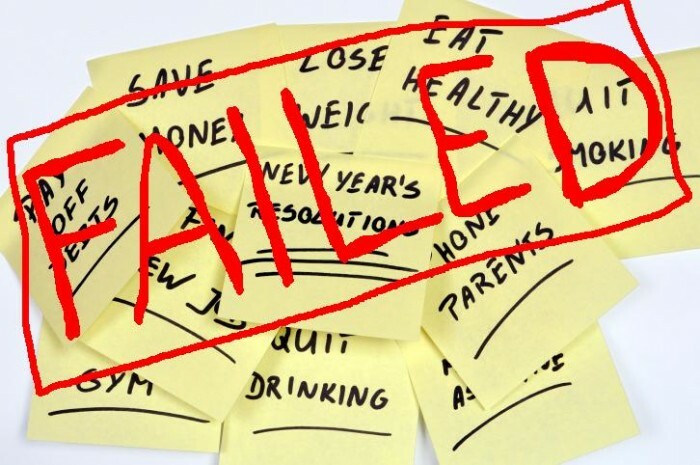 However, researchers looked into the success rates of New Year resolutions and discovered that the first few weeks usually go great but by February, most people are backsliding. Well, that is probably why you never achieve your goals. Having a list of goals with no defined action points is as good as building castles in the air. Giving details to your goals makes them more realistic and achievable. For example, if your goal is to lose 36kg’s this year, clearly write that down and put it at a visible place where you can easily see. Then break the goal down into losing at least 3kg’s a month, and have action steps like going to the gym 3 times a week for an hour, getting a nutritionist, cutting down on junk food and any other steps to get to your goal. Having an accountability partner increases your chances of fulfilling your goals. Whether it’s one person or a group of likeminded people, ensure you have someone to walk with you through your journey, someone you can send regular updates of your progress so that they keep you accountable. If you want to fulfill your resolutions this year, do not keep your goals and resolutions to yourself, share them with someone, your family, friends. When the day comes when you slip up or get distracted, they will be there to encourage you and hold you accountable. Writing down your goals may seem like a simple activity but it is vital in helping you fulfill your goals. It is one thing to have your goals listed in your mind where you can easily forget and another to write down your goals. Making a physical list of the things you want to achieve helps make sense and plan on how to make your goals a reality. Carry a pen and notebook with you everywhere you go, you never know when you’ll get an idea of your next goal. Writing down your goal also helps you break it down into daily, weekly and monthly action steps to keep you accountable. The New Year always feels like the perfect time to set resolutions and make them work. Contrary to popular belief however, nothing magical happens on January 1st. If your goal is more dependent on a date rather than your attitude and readiness, you’re bound to fail. The tip here is to start now. If you can start living healthy now, why wait to start next year? The New Year should be more about taking stock of how far you have gone with your previous goals and creating a way forward on how to do better during the New Year. New Year Resolutions have the lowest success rates. In fact, research shows that only 8% of people achieve their New Year goals. This means that most New Year resolutions get ditched not so long after they are made, in fact, some never even take off. So what’s the point of setting New Year resolutions if you don’t follow through? Lack of discipline is why. As you set your resolutions, it is important to not just do it for the sake of it but have a purpose behind it. For example, if your goal is to lose weight, you need to have a why behind it. This will keep you focused and help you stop procrastinating.